The chief executive of aBorders social housing association has asked to meet MSP Christine Grahame to find out why why she has launched an online survey of its tenants. Tweeddale and Lauderdale MSP Ms Grahame set up the survey on her website this week after she said she was contacted by “a number of constituents” about issues they had encountered with Scottish Borders Housing Association. Julia Mulloy, chief executive of the association, said: “We work closely with MSPs and other elected representatives to deal with any areas of concern raised by tenants. “We always seek to resolve issues at an early stage and identify and address any underlying trends. Ms Grahame said: “I’ve been frequently contacted by a number of constituents with issues relating to Scottish Borders Housing Association. I’m therefore keen to see if these are isolated incidents or if there is any pattern. “We’ve already had a substantial number of responses, and I would encourage as many tenants as possible to fill out my survey to let me know their experiences, good or bad. Ms Mulloy insisted that the association has its own procedures for handling complaints, however. She added: “We deal with an average of 3,070 customers per week on our phones alone and complete almost 17,000 repairs a year to tenants’ homes. “We will invest approximately £10m on replacement kitchens, bathrooms, doors, windows etc during 2016-17. “On the rare occasions that things do not go as planned, we encourage tenants to contact us, and we will deal with their issues sensitively and effectively. Ms Grahame’s survey is available online at www. 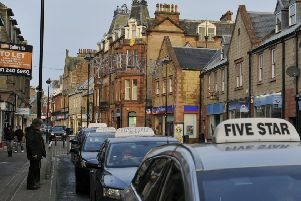 surveys, and paper copies can be submitted at her office in High Street, Galashiels. All responses will be anonymised before being shared.